Like everything else at Babylonstoren, the Garden Spa is inextricably linked to the garden and the ever-changing seasons. We like to think of it as a living spa, set within a forest of bamboo with tranquil greenery and a myriad leiwater channels to set the tone. Housed in our pavilion constructed of bamboo, it comprises a hammam, chill room, hot spa and gym. Experience an ancient Turkish cleansing treatment that is supremely good at relieving stress, increasing circulation and helping tired muscles to ease and relax. Our hydrating Lilian Terry body wraps will leave you feeling revitalised and energised. Our signature deep-tissue bamboo massage is so relaxing it may well send you to sleep. Or perhaps indulge in a duo massage. A wide variety of bespoke facials will cater to your every need – from natural, organic product ranges to Medicosmetics. In this exclusive area, enjoy the use of the sauna, steam room, indoor heated vitality pool, tropical rain showers and salt room, built with blocks of Himalayan salt. Unwind with a deluxe pedicure or pop in for an express treat. *Special offers valid from Mondays to Thursdays for the month of May. An entrance fee is required for access to our garden which is the heart of Babylonstoren. Stroll through the garden from the parking to the spa entrance – a wooden gate to the right once you’ve reached the Greenhouse. Reception will be on your left as you enter. So as not to compromise other guests’ experience, late arrivals may enjoy the time remaining on their treatment, but will be charged for the full treatment. Enquire at the Garden Spa reception – available for the full range of treatments. A 50% cancellation fee is applicable if cancelled later than 24 hours in advance. A 50% cancellation fee is applicable if cancelled later than 48 hours in advance. 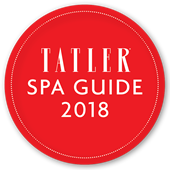 Sign up to our spa newsletter to stay up to date with news and special treatments.